There is a huge range of desk accessories in modern office life but for sure you haven’t seen before desk accessories from concrete. The following collection called “Solid” and created by London designer Magnus Pettersen consists of tape dispenser, pen pot and tray. 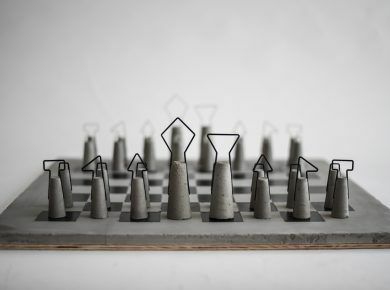 The pieces from the series are cast by hand at Pettersen’s studio in Stoke Newington. Complete set costs £65.